As I write, at least 127 people have died after coordinated attacks on several venues in Paris. President Hollande has declared a state of emergency, imposed border controls and called out hundreds of troops. It appears to be the handiwork of ISIS. President Hollande has declared defiantly that his nation would be “merciless” in responding to “the barbarians of ISIS”. The aftermath will test the mettle of France – as it would any nation. 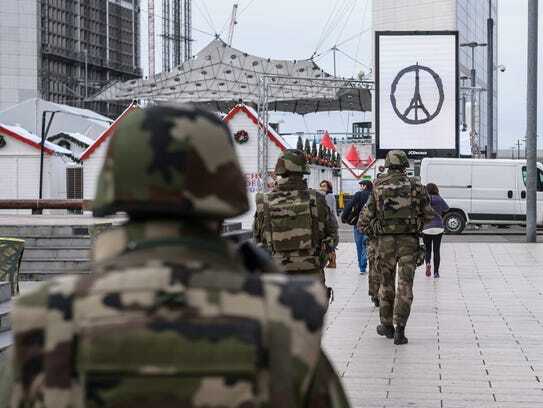 Hostility towards the large Muslim population will grow, some French Muslims may become more radicalised, refugees will be unwelcome, and the government could be provoked into putting boots on the ground in the heartland of ISIS, in Syria. Terrorism depersonalises people, turning innocent men and women into faceless, infrahuman enemies. Islamic terrorism does this in the name of Allah, using God as an ideological pretext for bloodlust and savagery. The temptation for France – and other Western nations – will be to depersonalise its enemies and to smite them with the same depersonalised, ideological rage. That, of course, is exactly what ISIS want them to do. But the nation must respond forcefully to this atrocity without losing its liberté, égalité, y fraternité. It will be difficult.